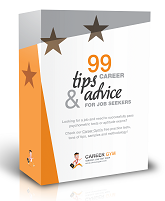 We are excited to introduce a new series on the Career Gym blog. Our 'soon-to-be doctor' (OK, we don't mean to jinx it for her) guest blogger will share with us her journey into medical school. Miss Satta is 17 and is currently in Sixth Form. So far, she did AS Biology, Chemistry, and Maths, among others, and is planning to fo forward with A2 Biology, Chemistry and Maths. She is also preparing for her UKCAT and her end game is, of course, becoming a doctor. Miss Satta, welcome on board with the Career Gym editorial team :) And now, over to her. I have officially finished all my exams!! WOOOOOOOP! Had my final exam yesterday which was a further maths module FP1 (Edexcel), it was alright. But now just looking forward to results day to see what I actually got. Right, so since it is half term next week, I have a lot of things to do. Yesterday, I printed out a list (about 4 pages) of GPs local to me. I plan to go round to them during half term to ask if there is a possibility of getting work experience during the summer. I might as well give it a try anyway, and besides, I need to be a bit more pro-active when it comes to getting work experience. So hopefully I manage to tempt a doctor into giving me work experience! Also, need to start preparing for the UKCAT, since we're already in June and mine is in August! Not really feeling confident about it to be honest. I'm honestly petrified of it! I really need to practice the quantitative reasoning and abstract reasoning! They are quite difficult sections. I think with a little more practice the other 2 sections should be fine. Plus when we go back to school after half term on the 14th (I'll be going back on the 15th, have to go to a conference - more about that later), we have to start all our UCAS stuff, so that means opening an account and filling all the details on the form. This is quite an exciting prospect but also scary! It means that all this is real and it is going to happen eventually. I still kind of feel like it should be pushed back, time is moving too quick for my liking! But this was inevitable - it has to happen sometime, whether I'm ready or not. I suppose it's the fear of not making it. Travelling so far but never reaching the goal. I guess I have to think positively, right? I also have to start thinking about my personal statement! I have one drafted but it's not exactly good, so the summer will be spent on drafting up a perfect medical personal statement - perfect for me, anyway. I wish all my Cabrini sisters good luck as well! All of us can do well on our flians if we work hard and are determined to do the best we can do. Energy Up Whooooo!!! N.P.s work under the supervision of a doc. They have matesr's degrees. My sis-in-law is one and I would never trust her. She has been wrong about anything I have ever asked. Maybe there are some good ones out there, but they're just not as thoroughly trained as docs. Where I live you have to go thru a phys. asst. before a doc. They are often wrong too.